Columbia has brought back the Eruption Pro but this time in blue. The Columbia Eruption Pro Blue bowling ball still features the Modified Resurgence core but has been updated with the Bend-It Solid coverstock. This ball was made to help blend out the wet/dry conditions when facing medium to light oil conditions. 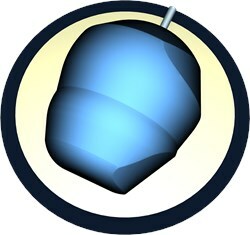 This ball offers length with controlled backend. Similar Balls: Same Hook Potential, Lane Conditions & Coverstock as the Columbia Eruption Pro Blue. Hey Y'all.....Stefanie Johnson here..... this ball is a great addition to my bag for lighter to medium patterns. I have had success with this ball on shorter patterns as well. I have mine drilled pin above the ring finger, nothing fancy. This ball is super clean for me through the heads and restores energy to have a smooth, continuous backend motion. Great asset if this is what you are missing in your arsenal. The ball will come undrilled unless you wish for bowling.com to drill it for you. What top weight comes with the 14 lb eruption pro blue? Unfortunately, we do not keep inventory of the top weights for any balls. You can request for this information at the end of the order page int he "special comments" box. 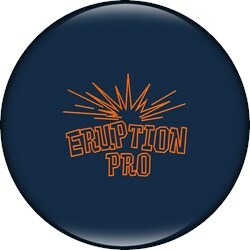 Due to the time it takes to produce the Columbia Eruption Pro Blue ball it will ship in immediately. We cannot ship this ball outside the United States.